Fibromyalgia is a complex disorder that causes pain and fatigue in the muscles. 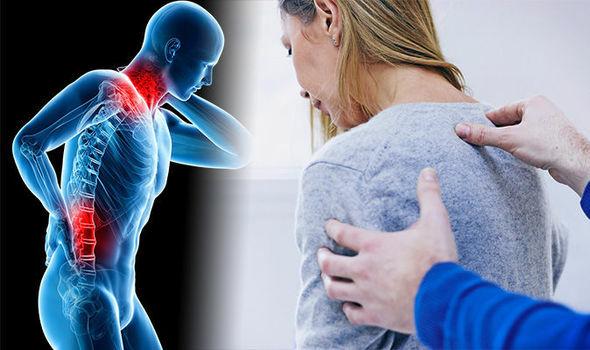 This pain tends to be on specific tender points on the body, including on the neck, shoulders, back, hips, arms, and legs, and occurs when pressure is put on them. Doctors don't really know what causes fibromyalgia. People of all ages, genders, and ethnicities develop it, but it appears to be more common in middle-aged women. In addition, people with a history of rheumatoid arthritis or other autoimmune diseases often develop fibromyalgia. There is no cure for fibromyalgia, but it is possible to manage the symptoms, with medication and other lifestyle changes. While there are medications that can help manage fibromyalgia, self-care in the form of some lifestyle changes and even some natural remedies can be effective in controlling the condition. An important part of self-care is finding a supportive doctor who understands and cares for people with fibromyalgia and other pain disorders. Not being understood, dealing with chronic pain, and a lack of sleep, can cause people with fibromyalgia to become depressed or develop anxiety. The following list contains a number of tips for managing and alleviating the symptoms of fibromyalgia. People should always talk to their doctor first for ideas and advice. Getting enough sleep is crucial for managing the symptoms of fibromyalgia. Being well-rested helps to combat the fatigue that is associated with the condition. Exercise may be more difficult, especially when first starting out, but it is important to stay consistent. As muscle strength builds over time, pain and discomfort should decrease. It is important for people with fibromyalgia to speak with a doctor before initiating an exercise program. Walking, swimming and water aerobics are generally good to start with. A physical therapist can sometimes be helpful in setting up an appropriate exercise program. People with fibromyalgia tend to become fatigued more easily than others and it is important to rest when needed. Pushing too hard can lead to increased pain and fatigue. In addition, it is important to practice moderation. If a person with fibromyalgia pushes too hard with exercise or activity when they are feeling well, it may trigger more days when they are feeling poorly. This goes beyond eating well and exercising. Reducing the use of caffeine, alcohol, nicotine products, or illegal drugs helps the body experience less physical stress and improves mood. Many people report that stress aggravates their fibromyalgia symptoms. Finding ways to manage that stress, such as yoga, exercise, journaling, or other hobbies, is essential for people with fibromyalgia. Acupuncture is a type of Chinese traditional medicine where practitioners insert small needles into specific points of the body. Some people believe that these needles change blood flow and chemical levels, which can help relieve the pain and discomfort associated with fibromyalgia. Massage is a well-known treatment for sore muscles and joints. It involves the gentle manipulation of the body to increase range of motion, relieve stress, promote relaxation, and relieve pain. Yoga and Tai chi are both gentle and slow practices that combine controlled movements with meditation and deep breathing. Both of these types of exercise have been found to be effective in managing fibromyalgia. An initial study performed in 2010 found that Tai chi was effective. However, more studies are needed. Genetics: Fibromyalgia tends to run in families. Researchers believe that there may be a genetic component to the disease. Infections: Doctors have observed that some people developed symptoms after exposure to an illness or infection. Trauma: In some cases, people who have experienced trauma have developed fibromyalgia. Researchers suggest that repeated stimulation of the nervous system can eventually cause the brain to change. It is believed that the level of chemicals that transmit the pain signals between the nerves in the brain is increased. In addition, the pain receptors in the brain seem to become more sensitive to pain stimuli, so they eventually begin to overreact when stimulated. The pain, discomfort, and insomnia associated with fibromyalgia is often poorly understood. In many cases, the symptoms interfere with a person's daily life, which can cause difficulties for them at work or at home. Whenever a person is experiencing pain that doesn't have a definite cause, like a mild injury, it is important to see a doctor who can determine the cause of the pain and suggest ways to manage it. Sometimes, however, these symptoms can indicate a more serious condition that requires medical treatment.